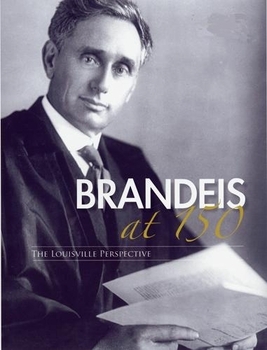 Brandeis at 150: The Louisville Perspective is a collection of articles and essays by Brandeis scholars and admirers that reflect on the accomplishments and legacy of this remarkable native of Louisville, Kentucky. Published in conjunction with the Brandeis at 150 Sesquicentennial Program hosted by the Louis D. Brandeis School of Law on November 13, 2006, this keepsake commemorative volume is a must-read for judges, lawyers and Brandeis scholars, and will inspire readers to become strong advocates for justice and public causes. Illustrated with full color and black and white photographs and reproductions of some of Brandeis's most important letters.